From small screen to hits on 70mm! Shah Rukh Khan, Vidya Balan – What do these names have in common? Apart from being superstars of the day, both SRK and Vidya made their acting debut in television slowly moving on to enthrall the silver screen audience. Inspired by the tales of the likes of SRK and Vidya, every year many TV stars attempt to shift gears to the big screen with the hope of repeating the success stories. Some get lucky; some others either vanish or return back to the small screen. The Friday gone-by; saw the release of Bittoo Boss, which introduced newbie Pulkit Samrat. If the name sounds vaguely familiar, it is because Pulkit played the much-loved role of Lakshya Virani, in Indian Soap Opera ‘Kyunki Saas bhi Kabhi Bahu thi’, Indian televisions second longest running and most popular show. While the verdict on Pulkit’s journey from small screen to 70mm remains to be decided, we do a run-through of some of the names that managed to make a satisfactory switch between the two mediums. Prachi Desai – When Ekta Kapoor discovered Prachi Desai for playing the lead in Balaji’s teleserial ‘Kasam Se’, no-one had imagined that the then 17-year old would go on to become a household favourite; so much so that she went on to win a dancing reality show on the basis of audience votes. She made her Bollywood debut with a short but powerful role in Rock On as Farhan Akhtar’s supportive wife. The film and Prachi’s performance were applauded but it was mentor Ekta Kapoor’s subsequent project Once Upon A Time in Mumbaai that put Prachi in the bankable league. With a string of big movies in her kitty already, Prachi continues to connect small screen viewers through advertisements as well as she is also the brand ambassador of Goa Tourism, a popular holiday destination in India. Rajeev Khandelwal – The year was 2003, television was in an upswing and soap operas had given prime-time a whole new definition engaging housewives and families alike. Amidst the saas-bahu dramas, Ekta Kapoor presented ‘Kahin toh hoga’, a romance between a feisty small-town girl and an arrogant business heir, introducing Rajeev Khandelwal. 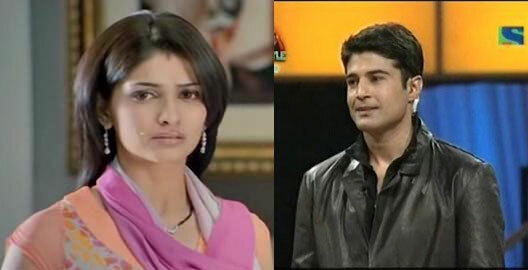 His boy next door good looks coupled with dimpled smile charmed hearts of millions avid TV watchers. The serial rocked TRP charts, he became the son-in law every mother wished for and Rajeev was touted as small screens pin-up poster boy. Much contrary to pre-release reports, his Bollywood debut in an unconventional small budget film Aamir was highly applauded earning him debut award nominations. He continued to gather rave reviews in his subsequent releases such as Shaitaan and Soundtrack. Despite maintaining his stand of doing only offbeat movies, Rajeev is highly sought after. Meanwhile he skillfully balances his TV stint as host of ‘Sach Ka Saamna’ (Indian version of US’s Moment of Truth). Ronit Roy – Not many know that Ronit’s Bollywood affair began as early as 1990’s; with a film titled Jaan Tere Naam putting him in the spotlight. While the film did satisfactorily well at the box-office, it failed to provide the required boost to Ronit’s film career. Post that; he acted in a handful of films as second leads or supporting acts, none of which created any impressionable impact. Consequently, he continued to act in popular teleserials, earning him the tag of Amitabh Bachchan of small screen. His Bollywood career got a second lease of life with Udaan. The film earned Ronit deserving acclaim as well as winning Filmfare and couple more awards, for his powerful performance of a dominating autocratic father. 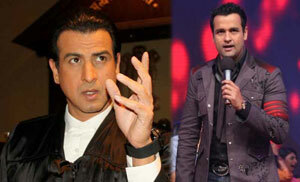 Rohit Roy – Unlike Ronit, younger brother Rohit hasn’t had a very viable Bollywood filmography. Though his stint in Bollywood has been limited to supporting characters, the films he has been part of like Shootout in Lokhandwala and Fashion have been commercial fares at the box-office. 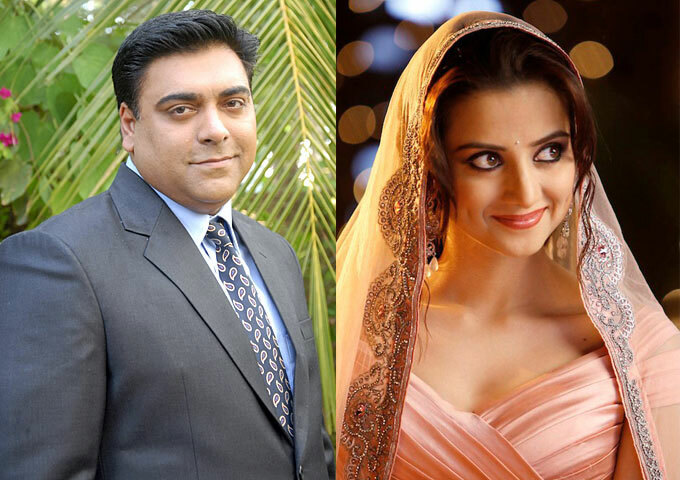 Ram Kapoor – A name that needs no introduction, even after 15 years of television, Ram rules the hearts of the audiences as one of the most adored TV personalities. His golden period began after 2006 when ‘Kasam Se’ with Balaji productions was listed in the Top 10 popular serials in the country. The serial catapulted him and his co-star Prachi Desai to fame also winning the favourite couple award that year as well as Best Actor for Ram. Be it as the adorable bubbly host of ‘Rakhi Ka Swayamwar’ or the two-left-feet dance contestant of popular reality show ‘Jhalak Dikhla Jaa’, Ram vows with easy wit and gregarious personality. His debut in Bollywood was as the tyrant boss in a minuscule role in Kartik calling Kartik but made a huge impression. With similar supporting yet significant performances, Ram continues to indulge in small as well as silver screen making the best of both worlds. Kulraj Randhawa – Kulraj began her acting career with a family soap ‘Kareena Kareena’ in which she played the protagonist. Her character was loved by all age-groups and the shows mass appeal also had celebrities Abhishek Bachchan, Priyanka Chopra putting in guest appearances. Post the show ending in 2005, Kulraj went on a shot sabbatical signing two Punjabi films in the interim. Her Bollywood debut with Chintuji failed completely as no one took notice of her or the film. Armed with a never-give up attitude, she made a comeback in 2011’s hit Yamla, Pagla, Deewana starring the Deol family. Her last release Chaar din ki Chandni fell flat at the box office, but Kulraj received satisfactory reviews for her portrayal of the boisterous, feisty Punjabi gilrl ‘Chandni’. Mohnish Behl – 30 years in the industry; with over 50 names to his filmography Mohnish Behl to the small screen viewers will probably always be Dr. Shashank Gupta of ‘Dil Mil Gaye’. 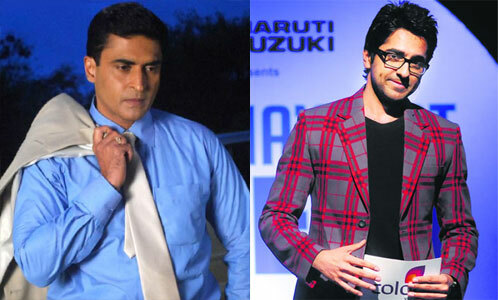 Known best for his supporting roles during the 1990s, Mohnish has to his credit some memorable performances under the Rajshri banner in films like Hum Aapke Hai Kaun and Hum Saath Saath Hain. With a resume boasting of versatile roles from actor to villain to supporting acts, Mohnish continues to remain one of the most prolific actors to have garnered a large fan following for his short yet prominent roles. Ayushmann Khurana – Theatre actor Ayushmann’s journey in entertainment set off post winning the second season of reality show MTV Roadies. The show put him in spotlight, which led to an outpour of offers to host TV reality, sport and award shows. His popularity, easy screen presence and congenial hosting had him bagging awards like Cosmopolitan Fun and Fearless Award as well as the STAR Parivaar Award for Best Anchor among some others. Six years into television, Ayushmann is geared to make his big screen debut under John Abraham’s production house in Vicky Donor an educative light comedy on increasing trend of sperm donation and artificial insemination, which releases on 20th April. A very well maintained secret is that that Ayushmann is additionally a very talented writer and maintains a blog. Yami Gautam – Ayushmann’s characters love interest in Vicky Donor played by Yami Gautam has a similar small screen to big screen story as her co-star. Yami was practicing law when she was offered a modelling assignment, which as history has proven paved way to the field of entertainment. One successful TV serial ‘Yeh Pyar Na Hoga Kam’, Yami was making her way to silver screen. Her cinematic debut in 2011 was Telugu film multi-cast Nuvilla, which didn’t score at the box office. It remains to see if her Bollywood debut with Vicky Donor gives her the commercial success to find a place in the industry. 16 queries in 0.493 seconds.